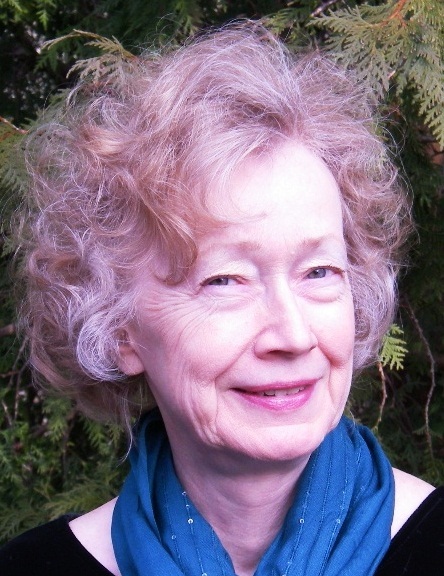 Visit Town Creek Poetry and read a poem by Netwest member, Maren O. Mitchell. Maren is a well-published poet and author of Beat Chronic Pain, An Insider's Guide. Click on the title of the poem and take time to read all the poets in the new issue of Town Creek Poetry, an online journal, edited by William Wright. Maren O. Mitchell is the author of a book that will be helpful to anyone who suffers daily with chronic pain, as many of us do. Prescription medicine is one of the biggest causes of death in women, so it is imperative to look for other and better ways to handle pain. We don’t want to become dependent on powerful drugs with side effects that keep us from living a full life. I interviewed Maren about her life and her book. 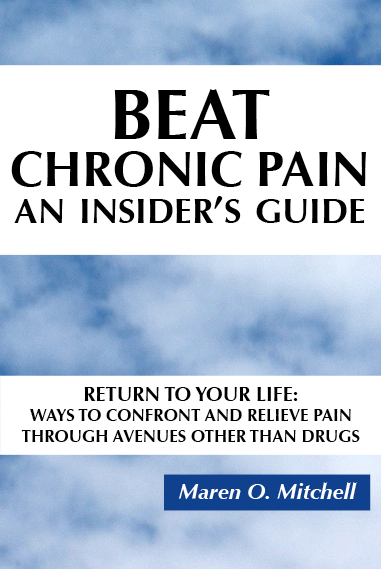 1 GB: Maren, your book, “Beat Chronic Pain, An Insider's Guide - Return to Your Life: Ways toConfront and Relieve Pain Through Avenues Other Than Drugs,” is well-written and full of great ways to deal with pain whether it is arthritis, damaged nerves, back pain or fibromyalgia. I know that over 25 years ago you had a tumor in your spinal cord. After surgery, pain continued and never went away. Tell us what was the first thing you learned about chronic pain and how did you face it? MM: The first thing I learned about chronic pain is that constant pain interferes with all aspects of life, from concentration on anything—to physical activity. Facing these sudden and big changes was the most difficult and longest fight I have had. The first years were the worst, when I had no idea how to deal with pain, and fell into the habit of useless self-pity. Information on effective methods to reduce pain was not easily found. It took years before I learned of pain-reducers other than drugs, and faced the reality that I am responsible for the quality of my life—no one else is. GB: You are a poet and have included many poems in this book. How has pain affected your poetry? MM: First, none of the poems in my book were written for the book. Only two, the first—written over 20 years ago, and the last—written a few years ago, specifically refer to pain. I chose all the poems to illustrate and introduce the subjects of the chapters. Before pain began, from the time I was 18 I’d written poems whenever I wanted to. After pain started, for many years I was able to write a poem only now and then, and with difficulty. I thought and felt that I was no longer a poet—that my most loved means of expression was gone. I began to write prose—children’s stories, journaling and build on my manuscript about dealing with chronic pain. After about 16 years, I joined a poetry critique group. With that support, and my desire to write poems regularly again without being influenced by the fluctuations of my perceptions of pain, I have been able to feel, think and act as a poet—a happy state of being. 3 GB: I recently taught a class on Healing through Writing and we discussed how many famous writers and poets were inspired to write because of some kind of pain, mental or physical, in their lives. Have you found that your painful experiences, and the pain you continue to endure, deepen your writing? MM: Yes, pain has changed me. The only good immediate use of pain is to warn of damage or illness in the body. But, the major good side-effect of endless pain is the opportunity to examine the ways we feel, think and act. Self-examination is not pleasant or easy. Change is not easy. During the first few years I found areas of myself I disliked as I tried to deal with my hurting body. The joy was discovering I could change my outlook, my behaviors, and in so doing, regain the control over the quality of my life that I had lost. And yes, my writing has gained from those changes, but not specifically or directly from pain. 4 GB: I, too, suffer from chronic pain and have used many of the techniques you write about in your book. One that helps me is finding something to do that I enjoy and that takes my mind away from my pain for a time. What works best for you to take your mind off your pain? MM: I find that living a full day, which includes as many therapies as possible to maintain strength of body and mind, is best for me. I tend to put rest, socializing, and exercise last on that list, as they are the most difficult, but enjoy with no effort: gardening, light therapy, doing what I enjoy, giving to others, music, dance, other species, and laughter. Biofeedback, guided imagery, and especially self-hypnosis have become automatic to me from use for decades. They are a part of all my waking life. I could have chosen drugs and lived the rest of my life without doing all I wanted to do, live in a fog. Some people do choose drugs of one sort or another, and never live fully again. I discover, as I get older, more and more things I want to do, and continue to be sure that I will never resort to drugs, drugs that would dull my mind. GB: Having a social life, keeping house, enjoying time with your husband, all are important aspects of life that you continue to manage even with the chronic pain. What would you tell someone who suffers like this and has a family to care for? MM: I’d tell him that if you don’t deal with your own life—your health (mental and physical), your work, your ambitions—then relating to and caring about others will be out of reach. As far as “housekeeping” goes, every day I have priorities and cleaning is nowhere near the top. I’d suggest that choosing order of importance is essential. When we are healthy and feel good all the time we don’t have to examine priorities as much; but, with energy, concentration, and mobility lessened, we have to let go of what really doesn't matter. GB: Your book is highly regarded by some medical people who have read it and two doctors have endorsed it. Has it been hard to get the book into the hands of those people who most need it? MM: A good and tricky question. As soon as my book was available on Amazon, people who knew of it and wanted to use it bought it. As far as quality of success—it is successful. If my book helps one person re-establish his life, it is worth all the years I took to learn what I know. But, nationally and internationally, the awareness of what my book offers is going to be a continuing effort of self-marketing. I’m not a social media expert, only a beginner. But I do realize the power of the web, and will learn and use all I can. GB: Has your own health made it difficult to market your book? If so, in what way? MM: It takes work to market any book, even those published by the big guys. Self-promotion and marketing are necessities now for all authors. The publishing world has changed from the days of F. Scott Fitzgerald, when advances and pampering were the norm. Print on demand (POD), and self-publishing are increasing, and chain and independent book stores are closing because more people are buying more books through the web. Even the most successful authors hit the road now, using advance money and their own money to promote. Because of my physical limitations I chose to establish my own press and to self-publish. Some years before, I was going the route of seeking to be published. Querying literary agents is one of the steps, and approaching fifty agents is advised. I selected ten. Two agents were interested, one in California and one in NYC. Both eventually turned me down. Because of my limited stamina I had not planned to sell or market my book personally, only online, as this is more realistic for my physical capacities. My friends and the local communities have been so supportive of my book that gradually I changed my mind, and have been promoting and selling locally at a pace that I can manage. GB:What do you want your readers of “Beat Chronic Pain, An Insider’s Guide” to take away from the book? MM: I hope, and also pray, that what I have learned through two decades can be shared by others who suffer, enabling them to take control of their lives, and shape them as they wish, by accepting and acting on being responsible for their own choices. GB: Thanks to Maren O. Mitchell, author and poet, for taking time to answer our questions. 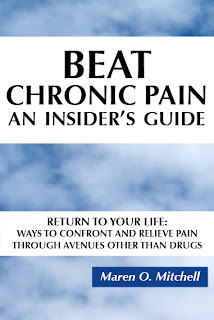 Be sure to order “Beat Chronic Pain, An Insider’s Guide - Return to Your Life: Ways to Control and Relieve Pain Through Avenues Other than Drugs," www.amazon.com or through Line of Sight Press, http://www.lineofsightpress.com/ . Come hear Maren Mitchell, prize-winning, nationally published poet and author of Beat Chronic Pain: An Insider’s Guide. 7:45-ish Open mike, sign up at door, limit 3 minutes per poetry or prose reader (Please time yourself at home, let's make it fair to everyone. Prose readers can often eliminate some details and still captivate the audience with their piece). 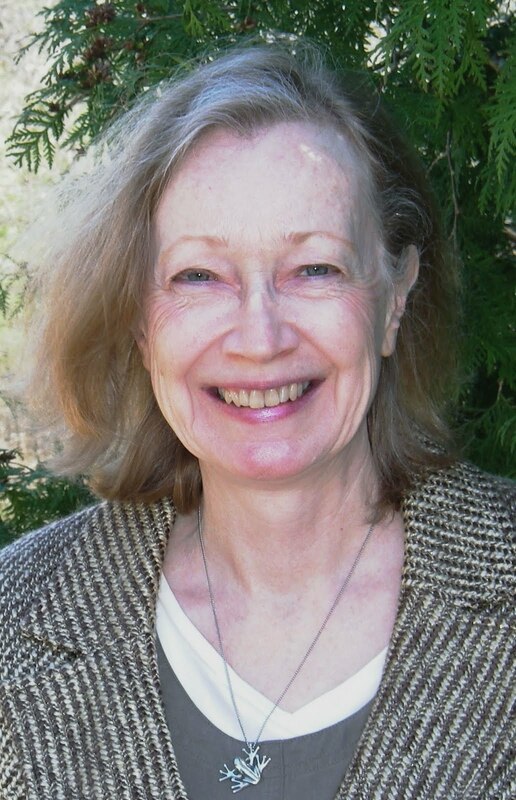 Maren O. Mitchell’s poems have appeared in Southern Humanities Review, The Classical Outlook, Town Creek Poetry, Appalachian Journal, Red Clay Reader #4, The Arts Journal, The Journal of Kentucky Studies, Wild Goose Poetry Review, and Pirene’s Fountain and elsewhere. Her work is included in The Southern Poetry Anthology, V: Georgia; Sunrise from Blue Thunder; Nurturing Paws; and Echoes Across the Blue Ridge, and is forthcoming in Hotel Amerika. Her nonfiction book is Beat Chronic Pain, An Insider’s Guide (Line of Sight Press, 2012), and is available at the Curiosity Shop bookstore in Murphy, NC, and on Amazon. Mitchell has taught poetry at Blue Ridge Community College, Flat Rock, NC, and catalogued at the Carl Sandburg Home National Historic Site. In 2012 she received 1st Place Award for Excellence in Poetry from the Georgia Poetry Society. For over twenty years, across five states, she has taught origami, the Japanese art of paper folding. A native of North Carolina, in her childhood Mitchell lived in Bordeaux, France, and Kaiserslautern, Germany. After moving throughout the southeast U.S., she now lives with her husband in Young Harris, Georgia. This coming weekend, Saturday, May 4, 2013, and Sunday, May 5, 2013, Maren O. Mitchell will be interviewed by Robin Watts of Regency Hospice in Hiawassee, Georgia, on WJRB FM, 95.1, during the Silver Linings Show. The subject is dealing with chronic pain, and methods other than drugs that can be used to cope with pain. The broadcast times for the Silver Linings shows have changed, and are now aired on WJRB FM, 95.1. They are: Saturday: 6:30 am; 8:00 pm, and 10:30 pm. Sunday: 6:30 am. All shows are available on podcast during the broadcast on the website of WJRB (see below). On the Home Page in the upper right corner, click on “Weekends” for the schedule and the live podcast. Click on “Listen Live WJRB” in the upper right corner to activate the LIVE podcast. The interview is not archived online and has to be heard online at the times of airing. Beat Chronic Pain, An Insider’s Guide is available directly through Amazon, and through Line of Sight Press, http://www.lineofsightpress.com/. Beginning this weekend, March 23th and 24th, Maren O. Mitchell will be interviewed by Robin Watts of Regency Hospice in Hiawassee, Georgia, on WJUL FM, 97.5, during the Silver Linings Show. There will be a series of programs over the next four months, discussing chronic pain, and methods other than drugs that can be used to cope with pain. Saturday, March 23th: 6:30 am; 10:00 am; 12:30 pm; 8:00 pm, 10:30 pm. Sunday, March 24th: 6:30 am; 10:00 am. All shows are available on podcast on the website of WJUL (see below). Each show will address different problems and solutions. The shows air at the same times each month. Beat Chronic Pain, An Insider’s Guide is available on Amazon through Line of Sight Press, http://www.lineofsightpress.com/. For confirmation of air times, check online with WJUL at their website, http://www.wjulradio.com/.